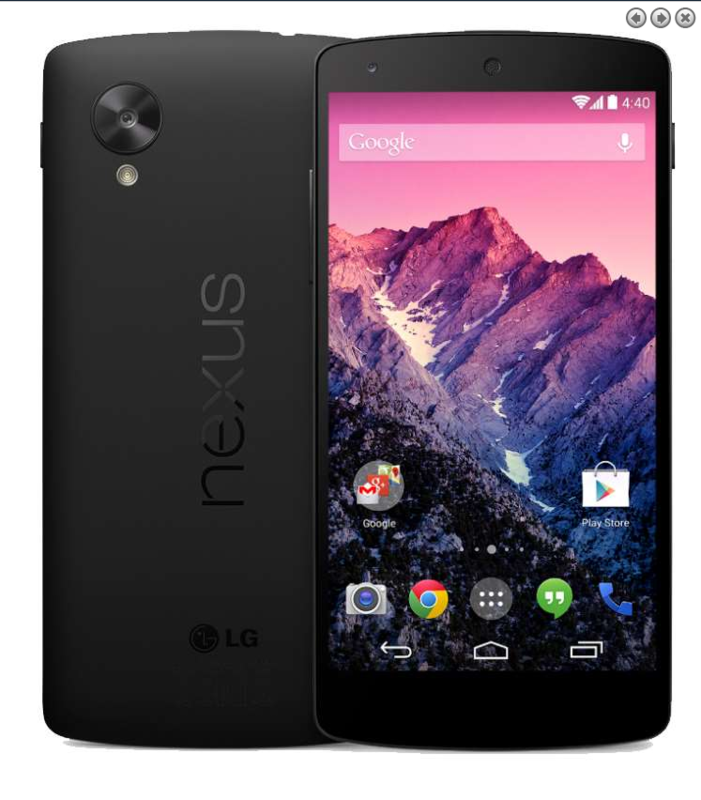 Here's a good one for our friends across the pond: if you've been thinking about picking up a Nexus 5 but didn't want to shell out £339 in the Play Store, Clove has you covered. For a limited time (till stock runs out, I assume by the wording), you can score the 32GB N5 for £280 (including VAT), which is a pretty significant savings over Google's store. Update: Clove has posted the full details on the HTC Fetch to its blog, and it's a lot less interesting than they previously thought. Turns out it's just a Bluetooth-enabled tracker device, with no on-board GPS function. When it's paired to an HTC phone (presumably through an app) it will beep on command, helping you find your keys and whatnot. The Galaxy S4 Zoom should become available in the UK tomorrow, July 11. 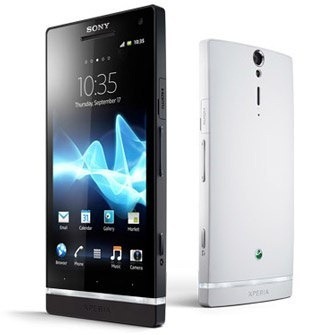 Clove has announced that they will sell the joint smartphone-camera for £369 excluding VAT (£442.80 including). 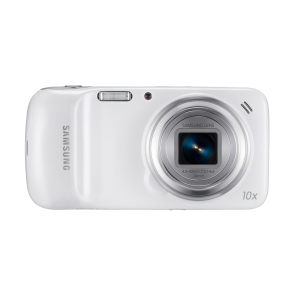 The Zoom will only ship in white and comes with 8GB of internal memory, though just 5GB of that is accessible to the user. Like most digital cameras, you're expected to expand this thing with a MicroSD card, so you might want to add that to your cart when you place that order. UPDATE - The release date of the Sony SmartWatch 2 has been put back to September and will not be launching week commencing 15th July as previously stated. The revised arrival date is week commencing 9th September. 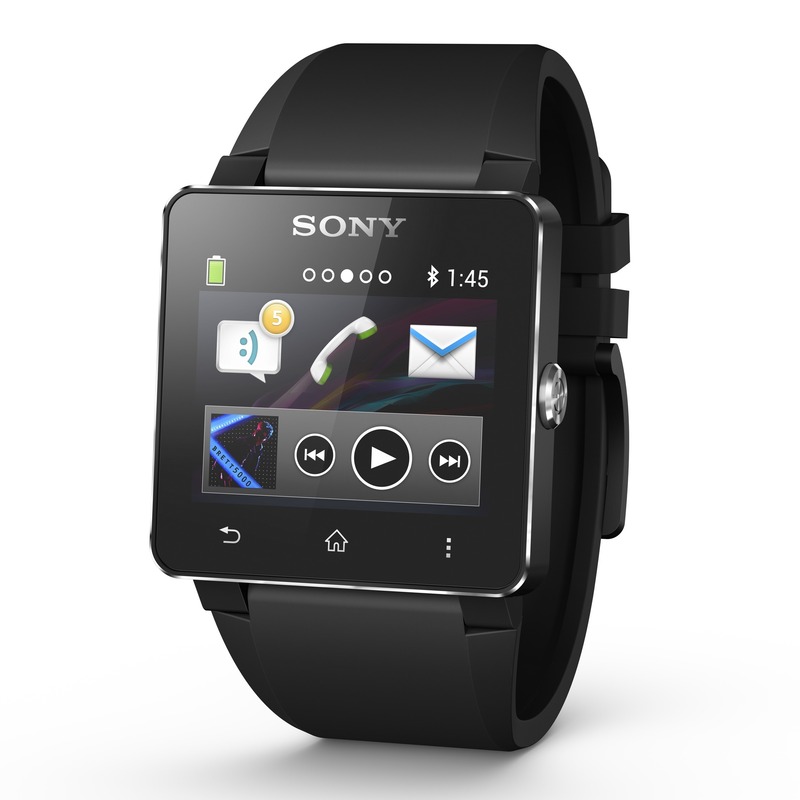 Sony announced the second version of its Bluetooth SmartWatch just a couple of weeks ago, and you'll be able to buy one in another couple of weeks, at least if you live in the United Kingdom. Not only does Clove's ordering site indicate this as the date the first shipments should come in, but Vodafone confirmed the date in a statement to AP. 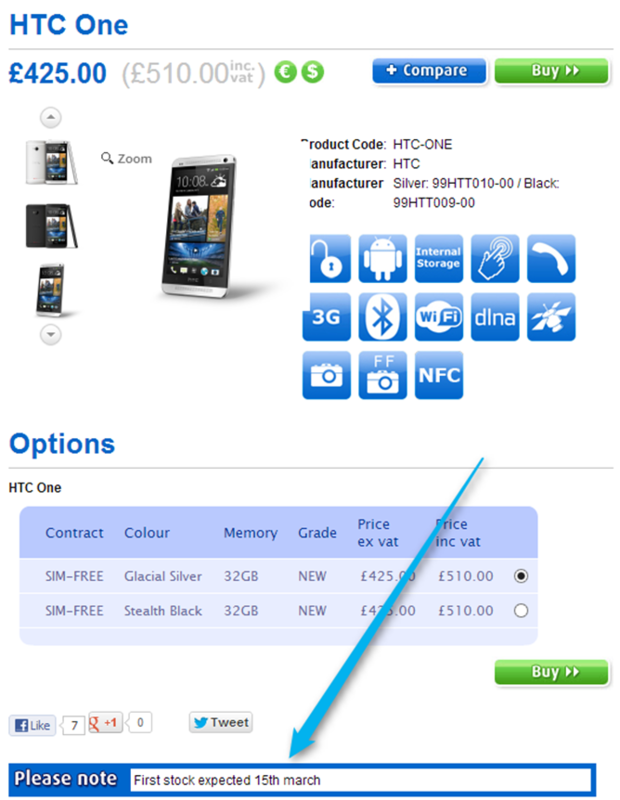 Following its unveiling last month, HTC's confusingly named One SV has made its way over to British shores, and is now available to purchase SIM-free from Clove for £349.99. For your money, you'll be getting a 1.2GHz dual-core processor, 1GB RAM and a 4.3-inch display to play your favorite games and watch a few movies on. Unfortunately, the display only has a resolution of 480x800, so it won't be the sharpest looking phone out there. 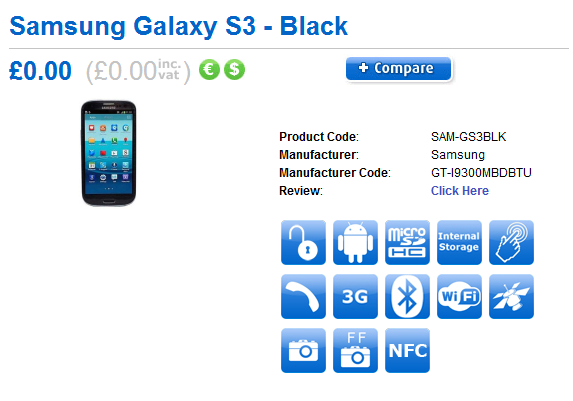 At this point, the black version of the Galaxy S III has abandoned the "rumor" status and moved into the "yes, it's real, and it's coming soon" realm. 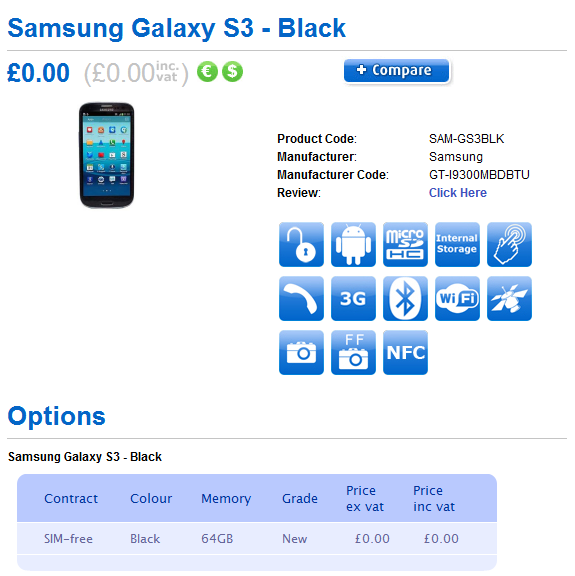 Further validating that claim, the black GSIII just showed up on Clove UK. At this point, the only version that Clove has listed is the 64GB variant. We reached out and inquired about 16 and 32GB variants, but they could neither confirm nor deny whether the device will be available with either of those storage options. 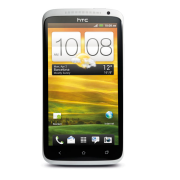 Just as HTC announced its new One line of Android-powered smartphones, Clove, in an HTC One blog takeover, announced that pre-orders are now open for all three devices. Clove also divulged each device's price, full specs, and expected release date. 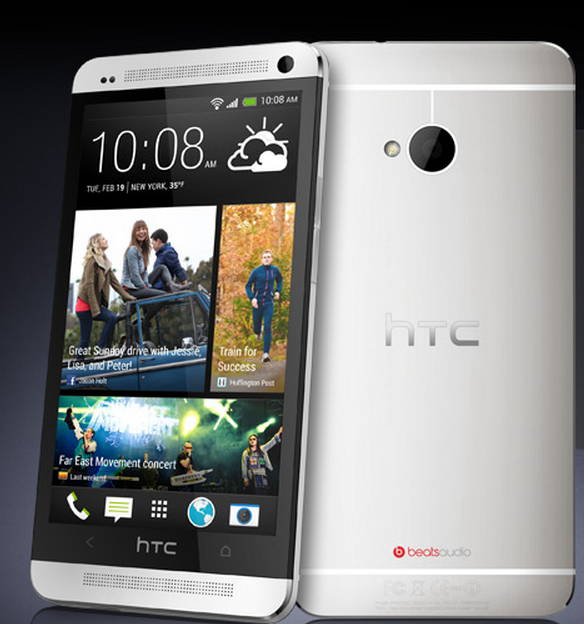 The HTC One X, perhaps the most impressive of the new line, is slated for release on April 5th, carrying a price tag of £410.00 (or about $645) not including VAT. Motorola recently announced two entry-level Android smartphones for the Chinese, European, and Latin American markets, the Defy Mini and the Motoluxe. Both devices are now available for pre-order on Clove, and they are expected to ship in late February/early March. 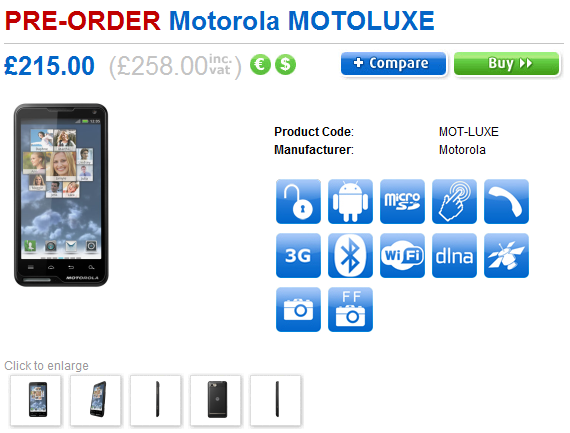 The Motoluxe is priced at £215 (£258 inc. VAT). 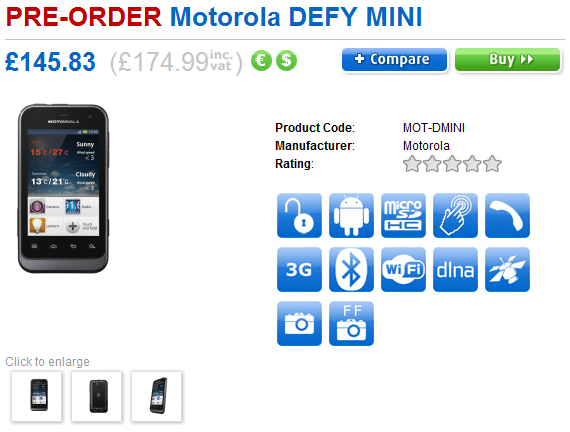 The Defy Mini is priced at £145.83 (£174.99 inc. VAT). 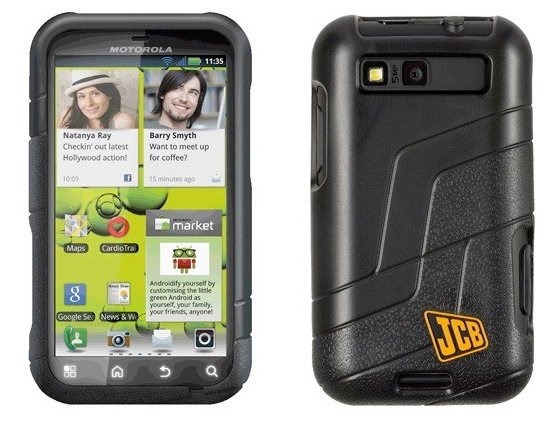 Additionally, Motorola have teamed up with UK-based construction manufacturer JCB to give the "rugged" Defy+ a makeover.